For the past 20 years, the exclusive developer of “LAFINCA”. 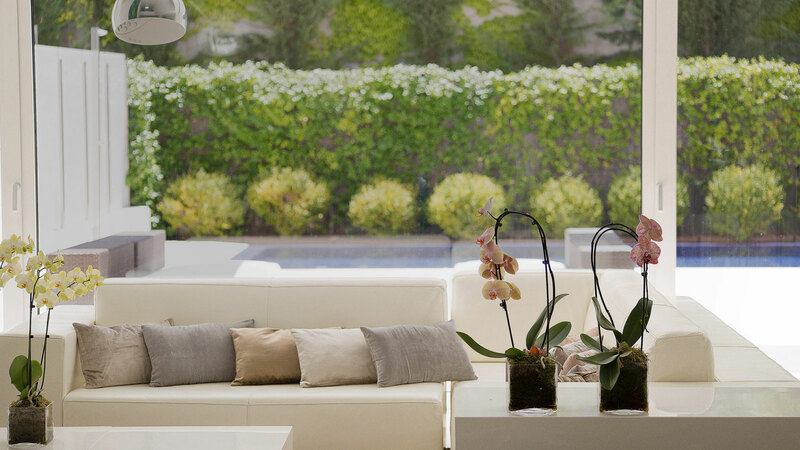 We have delivered over 650 residences of different types; ground floor with garden, duplex, townhouses and villas. We have a multidisciplinary team composed of a staff with extensive experience in the real estate sector and with a detailed knowledge of all the residences in “LAFINCA”. In “LAFINCA” you will find the most exclusive combination of luxury and security designed for you to enjoy the best quality of life. Avant-garde and versatile design makes the difference in the residences of LAFINCA, whose minimalist lines play on volumes, creating unseen spaces. The large windows integrate nature into every home and allow the visual inclusion of the garden and its distinctive features in the household. 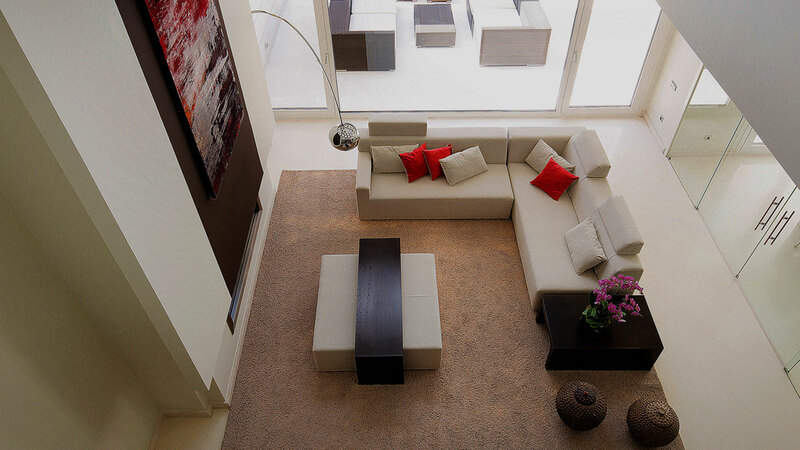 The breadth of each room, coupled with their unique height and the presence of distinct areas with geometric shapes, turn every luxury home into a work of contemporary art created to offer functionality and safety. Each residence is customized and maintains the same high standards of exclusive and distinctive design of LAFINCA, an international reference in architecture. Security and discretion are key to ensuring the most absolute privacy. And that is just one of the bastions on which the philosophy and essence of LAFINCA residences is based. Protecting privacy while maintaining the beauty of the surroundings. The surveillance systems of LAFINCA are unique in the industry, with the latest technology aimed at taking care of the properties and their surroundings at all times. The security systems guarantee the enjoyment of home and family. In LAFINCA a professional team works 24 hours a day with the most sophisticated security and privacy systems in order to ensure maximum peace of mind and comfort. Our job is to ensure the safety and peace of mind of our residents, so we make sure that all residences are monitored and secure at all times, also in periods when residents are away from home. Continuously monitored perimeter fences protect the paradise of LAFINCA, so you may wander throughout the estate without loss of privacy at all times. LAFINCA residences have their own character. Through our real estate agency LAFINCA REAL ESTATE, a specialist in exclusive residences, out professional team will take care of the smallest details to make sure the property you purchase exceeds expectations and makes your wishes come true. LGC3 is the new project at LAFINCA. It consists of apartments in a gated complex with double security fence and a single access control, maximizing security, privacy and exclusivity. It comprises 71 individual villas in plots between 1,000 and 1,200 m² with common landscaped areas. The villas have a surface area from 650 m² built on three stories and each villa has an individual swimming pool. Fully enclosed grounds with a double perimeter fence and the most advanced security system on the market. It comprises 96 townhouses of 450 m² distributed in 4 stories, and each one has its own individual swimming pool. Fully enclosed grounds with a double perimeter fence and the most advanced security system on the market. It comprises 160 townhouses of 450 m² distributed in 4 stories, and each one has its own individual swimming pool. Fully enclosed grounds with a double perimeter fence and the most advanced security system on the market. It has a surface area of 160 hectares, of which 40 are green areas and lakes. It comprises 178 individual plots with surface areas between 3,000 and 10,000 m². It is fully enclosed with a double perimeter fence and the most advanced security system on the market. It has a surface area of 50,000 m² and it comprises 88 townhouses. It has the same features as Lagos 1 regarding safety, security and privacy. With a contemporary and elegant architecture, its horizontal forms are fully integrated in nature, creating a perfectly harmonic complex to offer our customers a unique place. It comprises 128 apartments, either ground floor with garden or duplex, all with private swimming pool. The development has large common landscaped areas. Fully enclosed grounds with a double perimeter fence and the most advanced security system on the market. It comprises 52 individual villas in 1,200 m² plots with large common landscaped areas. The villas have a surface area from 650 m² built on three stories and each villa has an individual swimming pool. Fully enclosed grounds with a double perimeter fence and the most advanced security system on the market. Want to learn more about our luxury residences and apartments? Let’s talk.